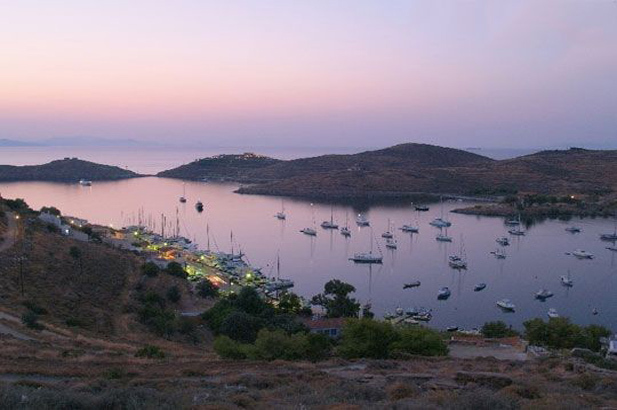 One side is chic coastal villas and the yachtie heaven of Vourkari, with its lively resort feel, on the other side are the gentle and arcadian uplands of farmers cultivating the rich and fertile terracings of far-flung country settlements. 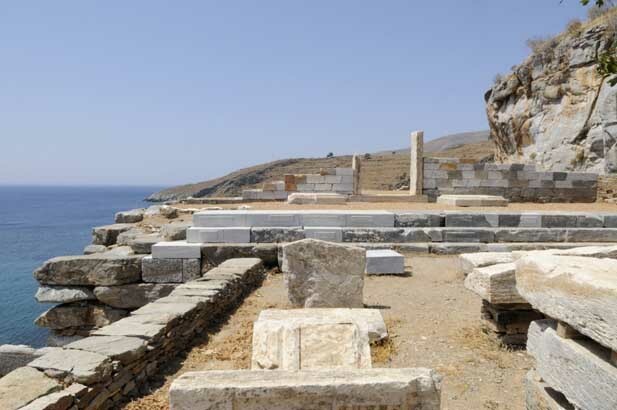 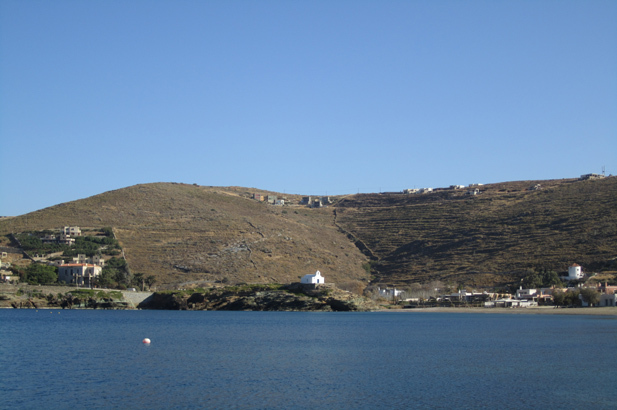 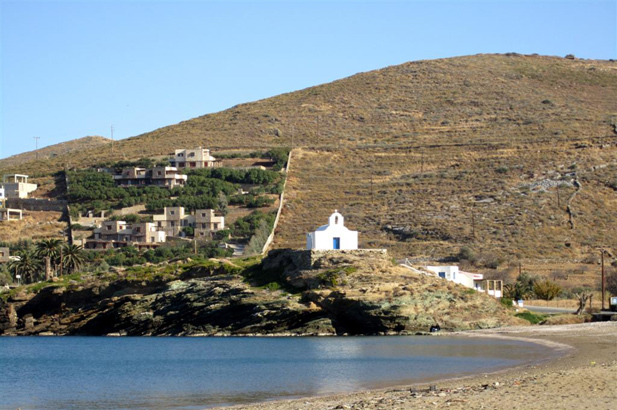 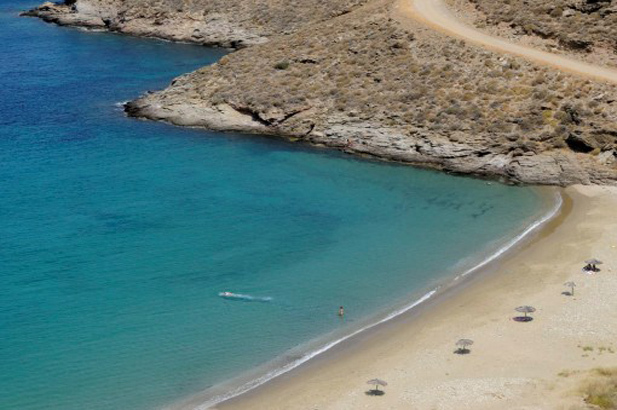 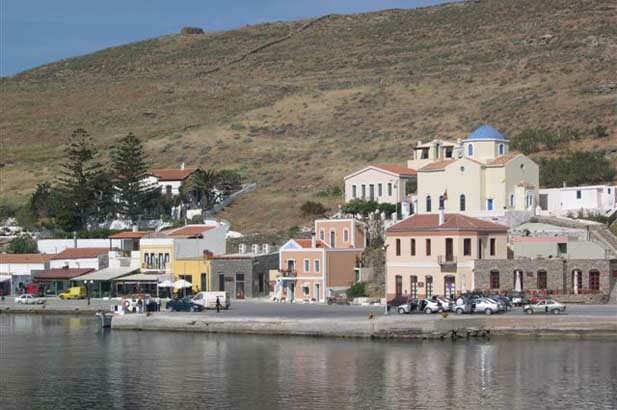 Kea feels very different from the other Cyclades: it lacks the photogenic white cubic architecture of Mykonos or Tinos, but the lovely sandy beaches are an obvious draw and the pastoral, timeless interior of the island is the real allure of Kea. 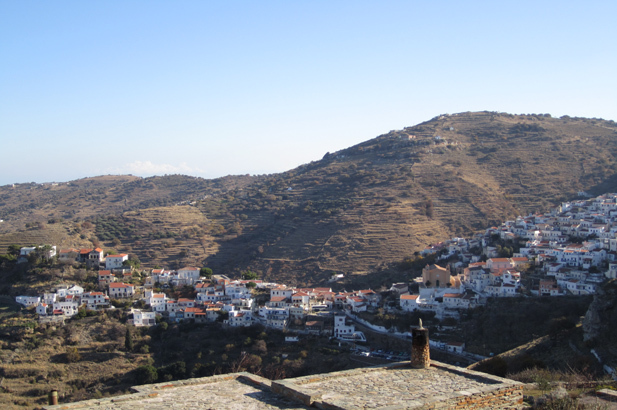 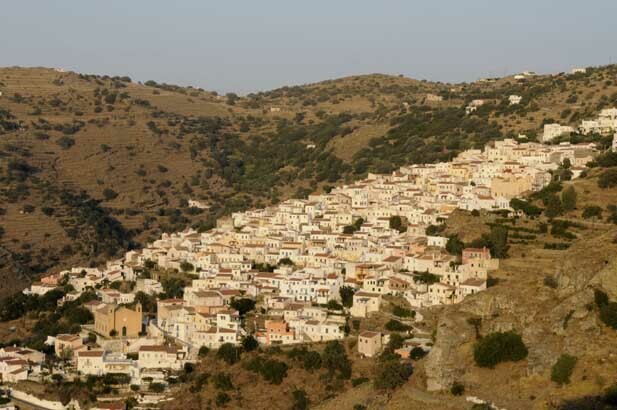 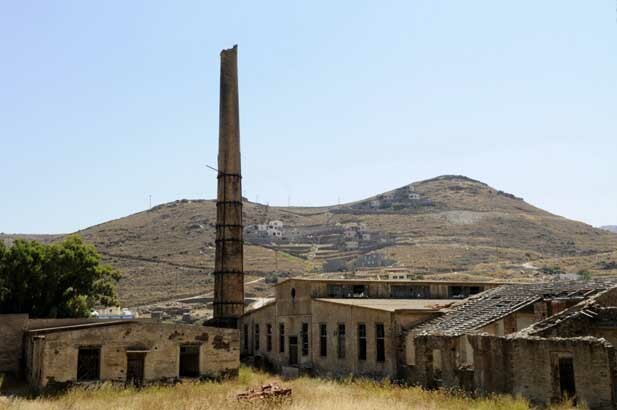 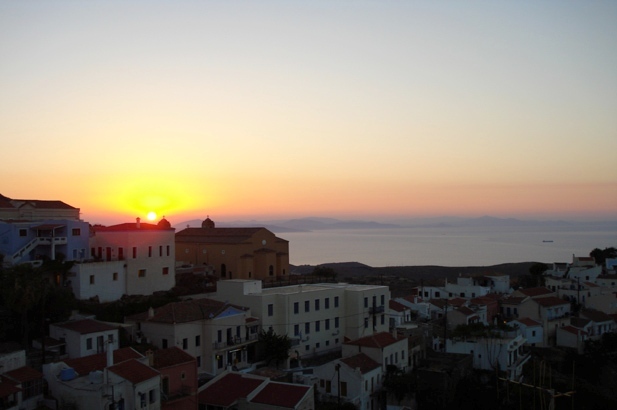 Mountainous, but not rocky and barren like other more southerly Cycladic islands, you will find springs and streams watering the well-cultivated terraces, the gardens, rich orchards and green fields, and lush little valleys. 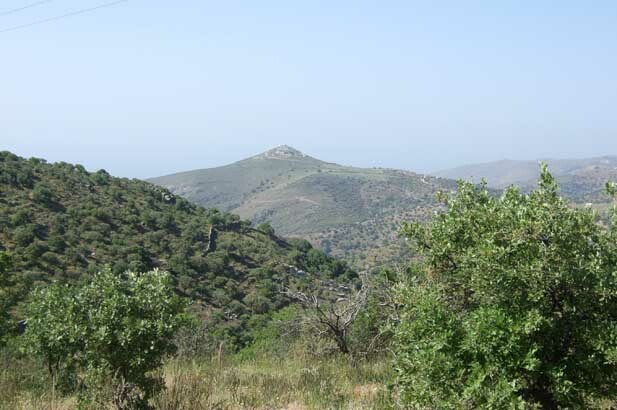 The valley of Milopotamos offers a bounty – blackberries, figs, quinces, pears, peaches, tomatoes, cucumbers, onions, garlic, olives, pomegranates, grapes and more grapes, wheat, lettuce, cabbage, almonds and pistachio nuts, lemons, eggplants, potatoes and oranges. 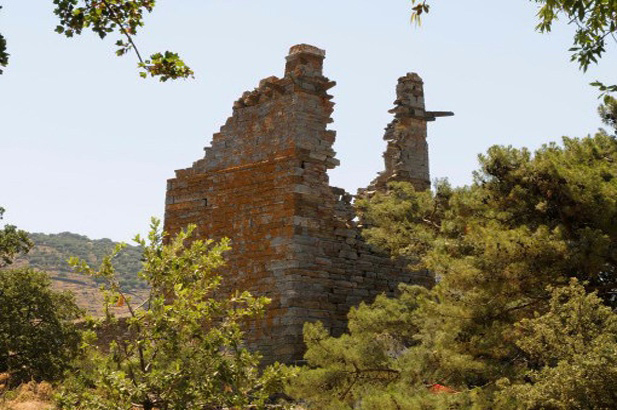 Nowadays this hidden valley is abandoned but must have supported many families for centuries. 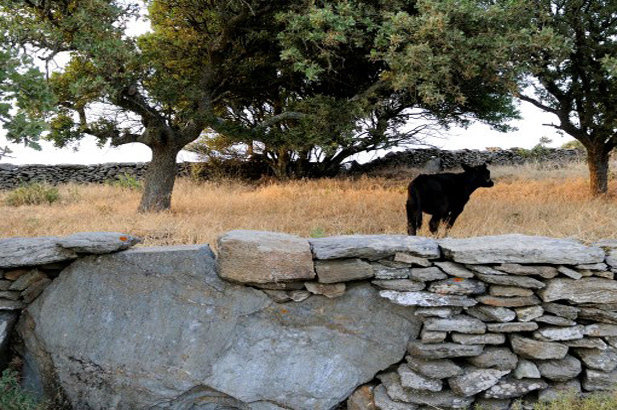 There are, of course, still farmers and stock-breeders, but their numbers go down each year. 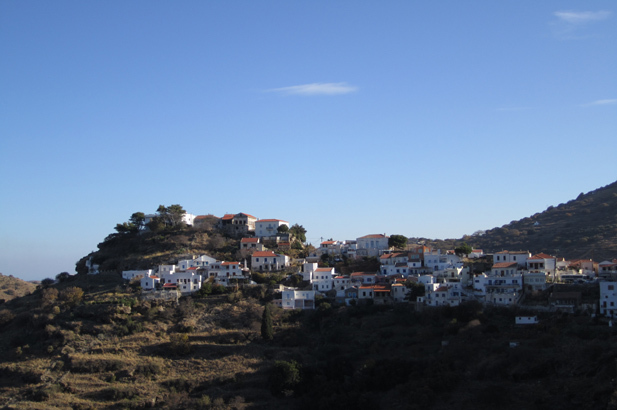 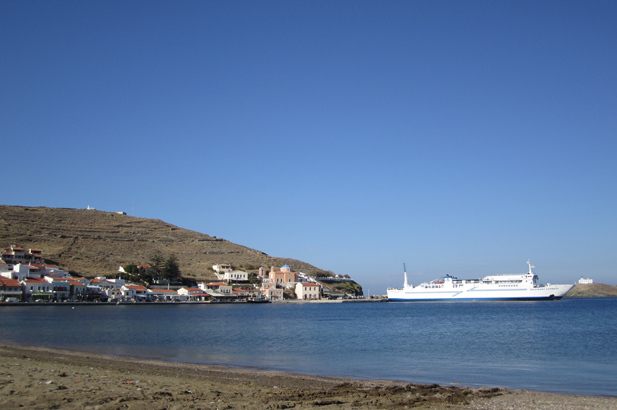 Ioulis is the stunningly-positioned capital. 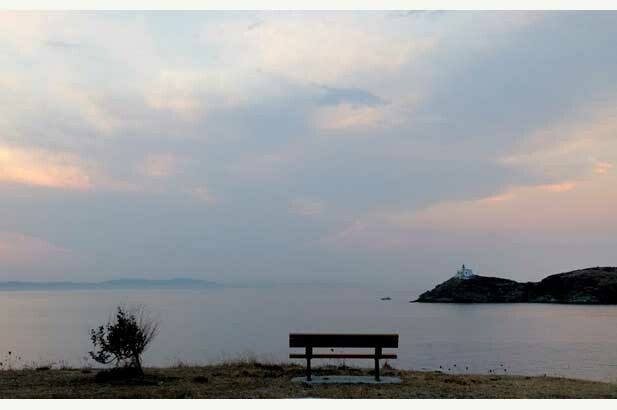 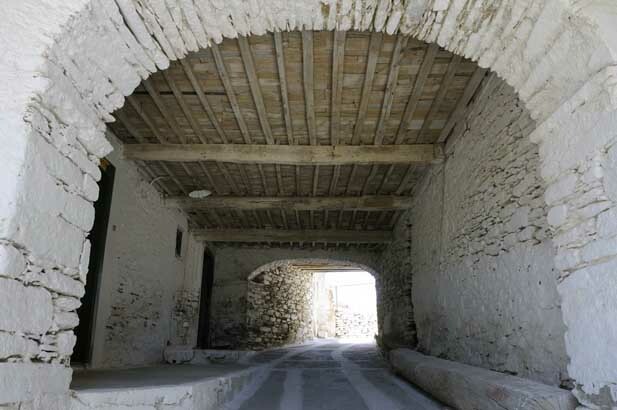 Those stone-paved lanes leading from farmsteads all over the island will always be used as long as white-washed country chapels must be visited, woodland nuts harvested and rural life goes on. 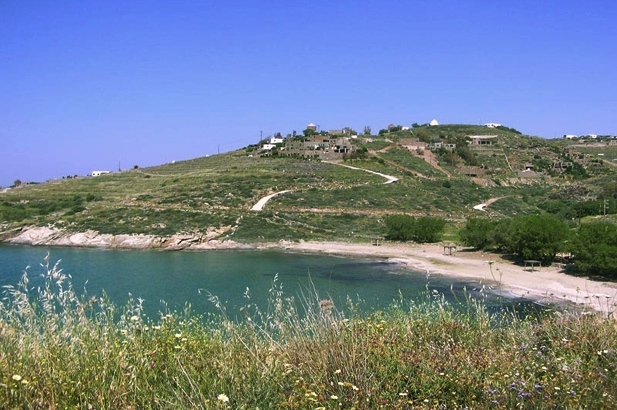 They provide gentle hikes into wonderful countryside and of course to wide sand beaches and delicious swims. 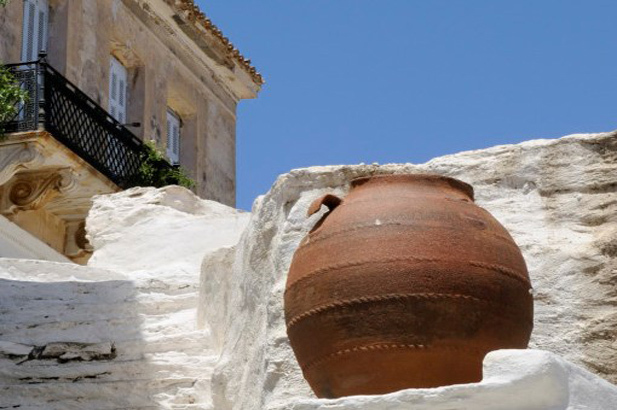 Try Spathi, Orkos and Psili Ammos, as well as Yialiskari, Otzia and, of course, your own pool. 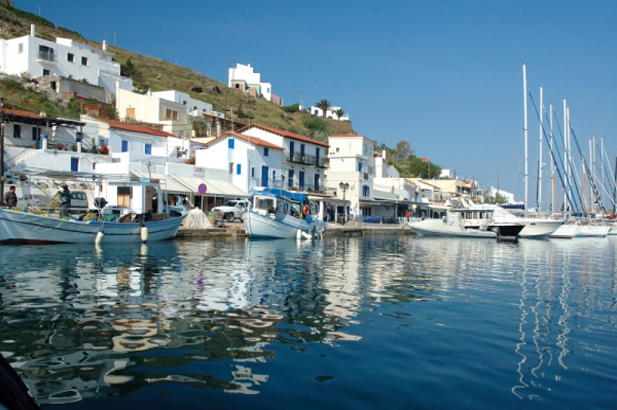 Explorers and lovers of traditional Greece. 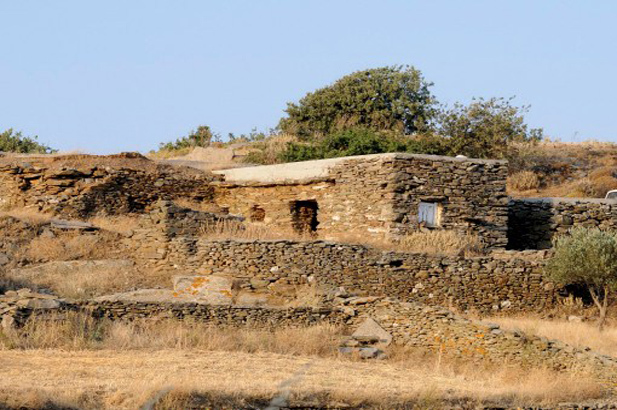 Architects interested in stone-built cubic houses. 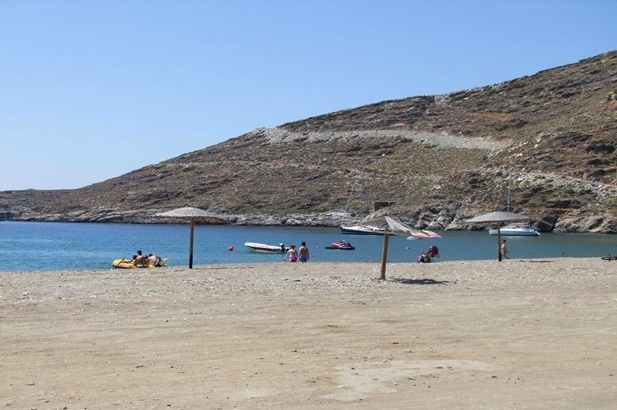 People wanting water sports or to hire little boats and potter around the coast - they're non-existent. 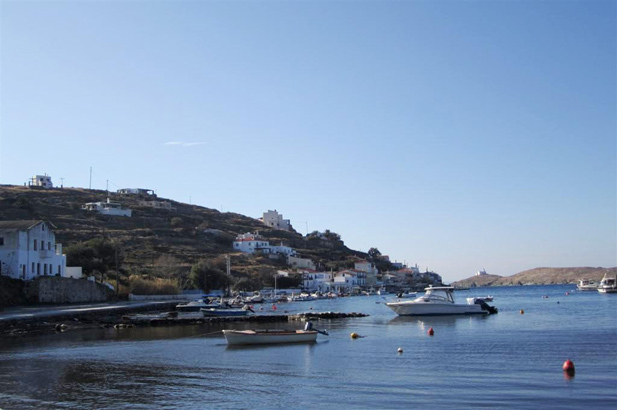 Professional high-flyers needing seclusion and comfort, with fast access to international hubs, but still wanting quiet relaxation and a very Greek atmosphere. 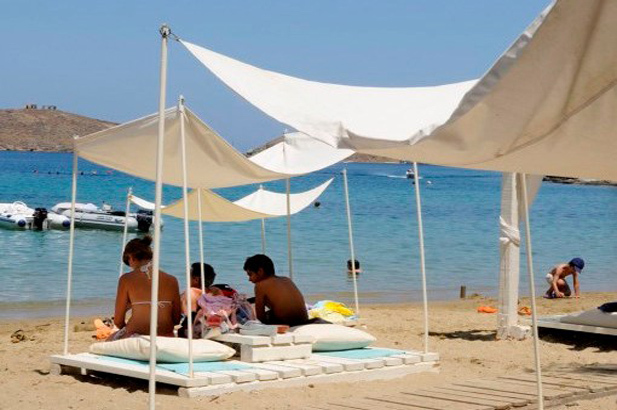 Shopaholics wanting an international scene. 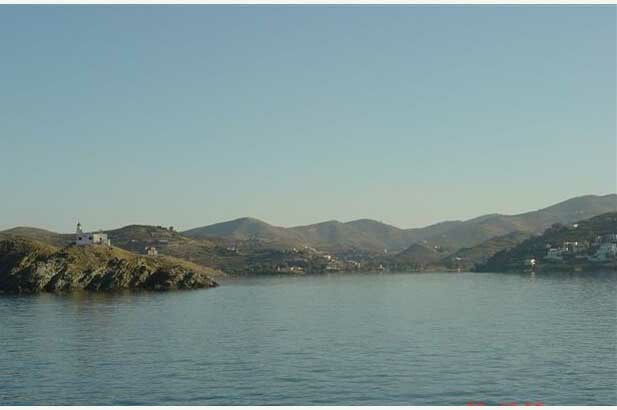 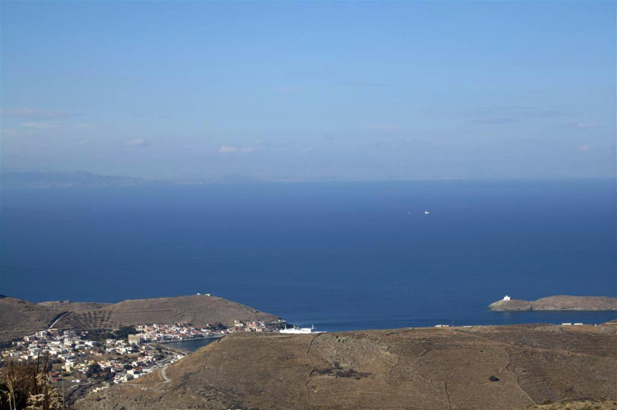 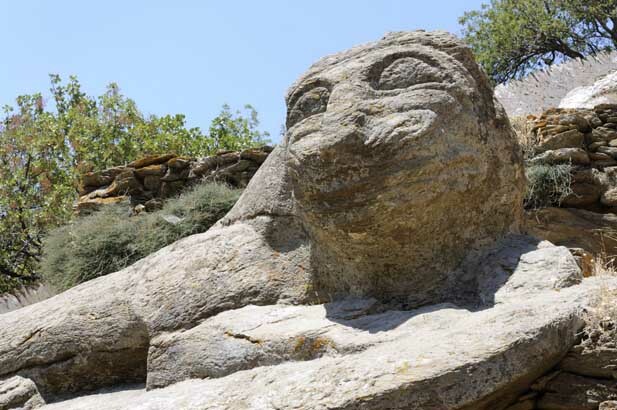 The archaic, smiling, schist-carved lion of Kea reclining proudly on a hillside overlooking the sea close to Ioulis. 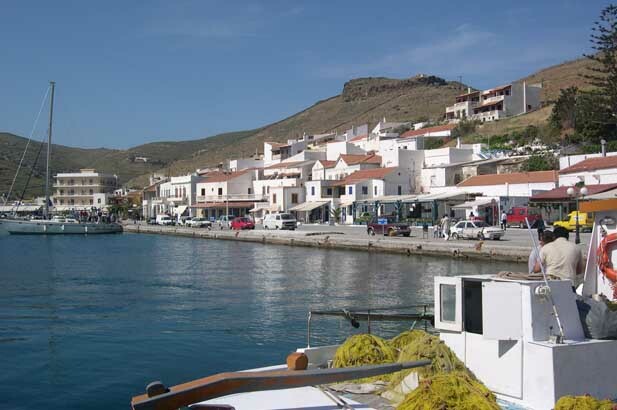 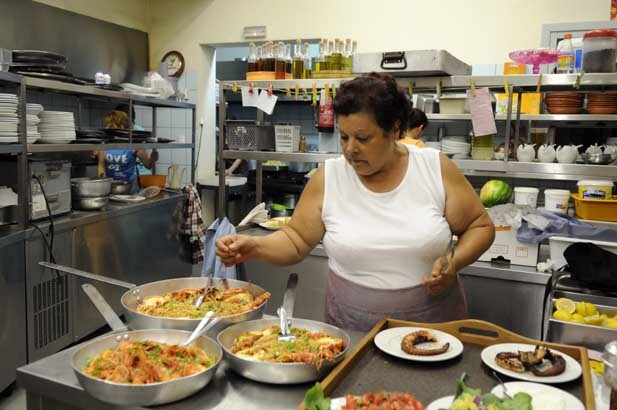 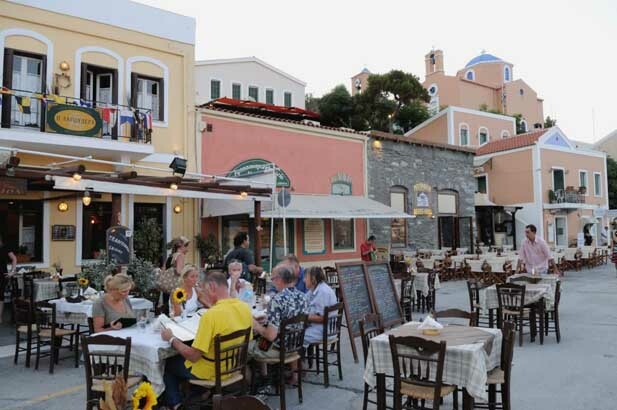 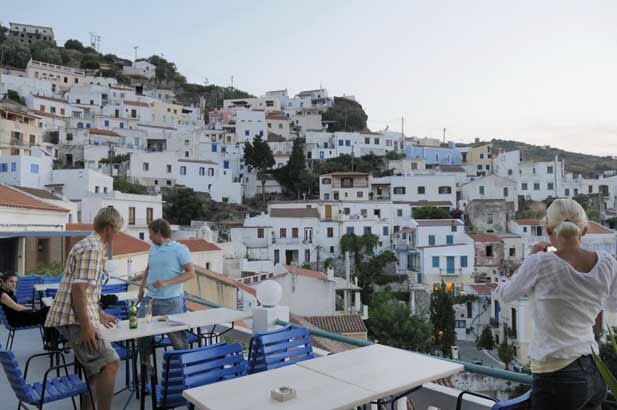 Also, due to the prevalence of Greek visitors, the food, especially the seafood, is good, local and fresh. 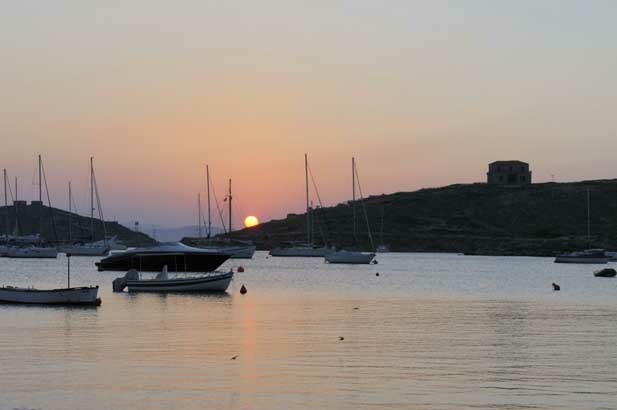 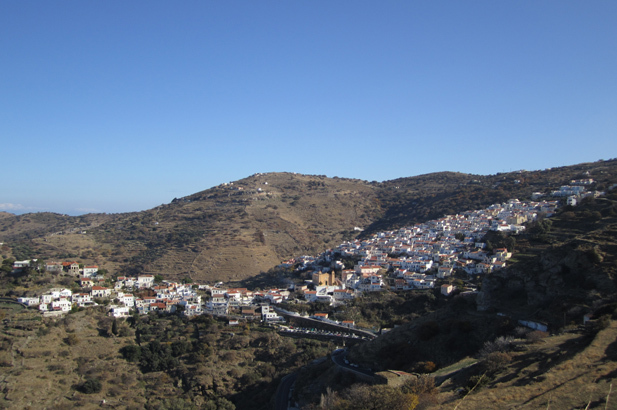 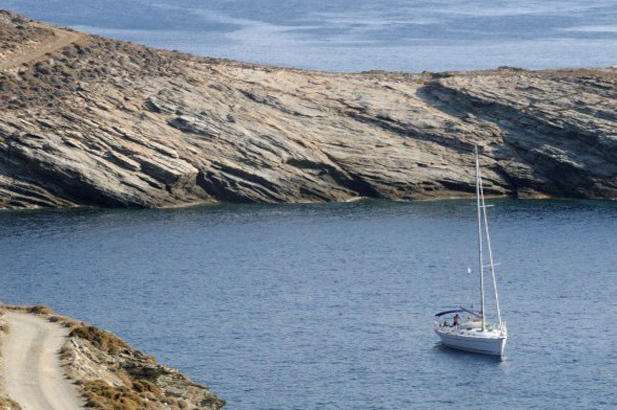 Yachting, windsurfing, good coastal dining and wining, photographers and hikers' paradise. 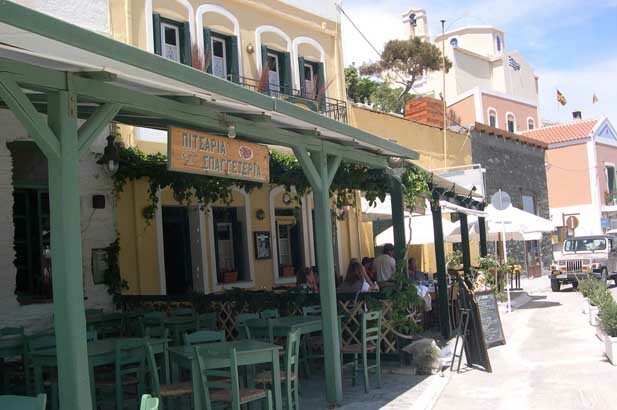 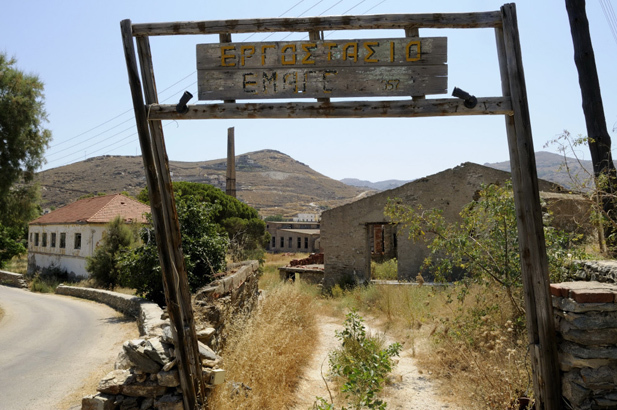 Expect colonies of summer residents escaping Athens' heat and hustle. 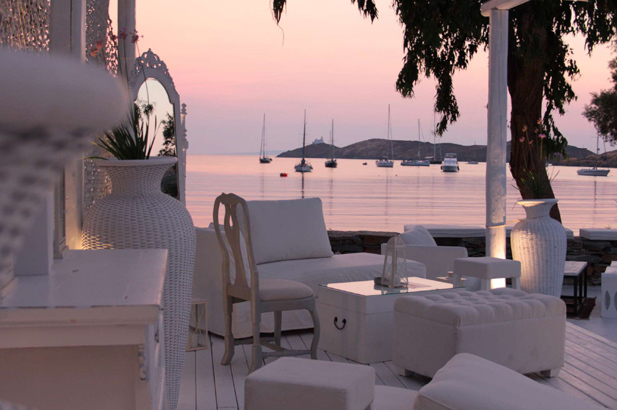 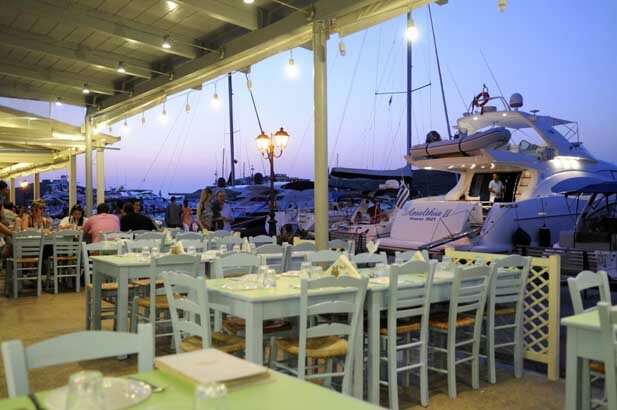 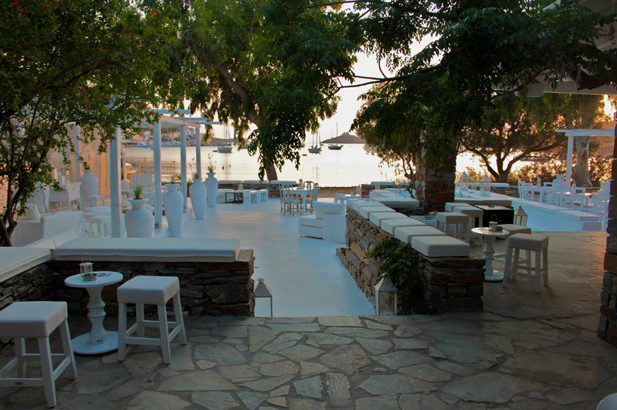 Within the last few years there has been an explosion of chic little resorts on the coasts, full-on beach activities, and many good tavernas right on the waters' edge - Otzia, Koundouros Vourkari. 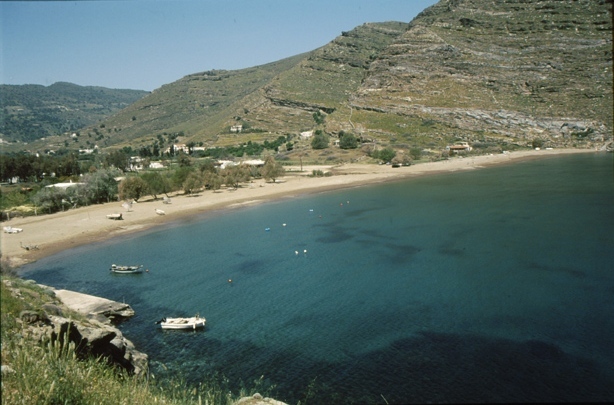 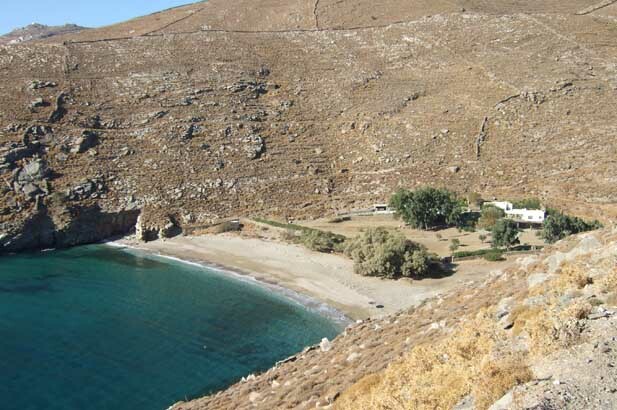 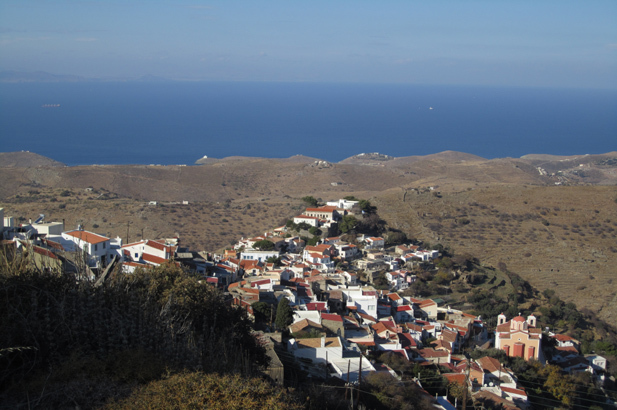 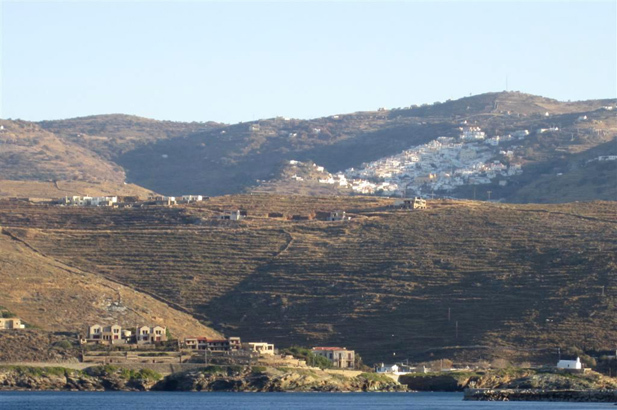 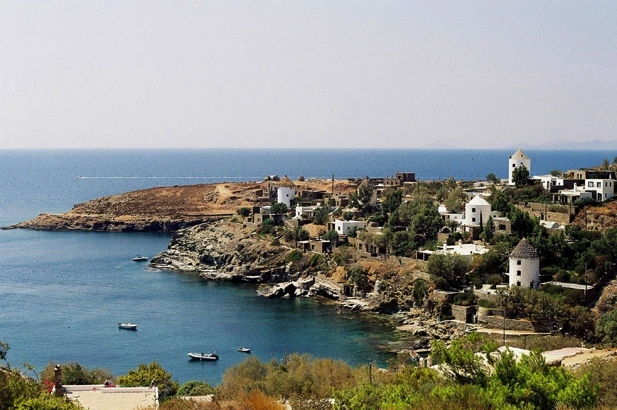 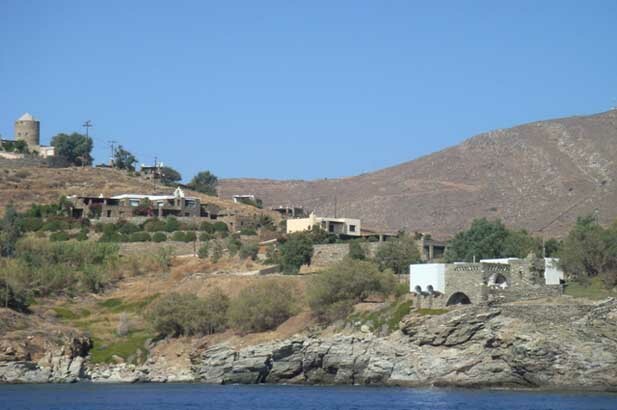 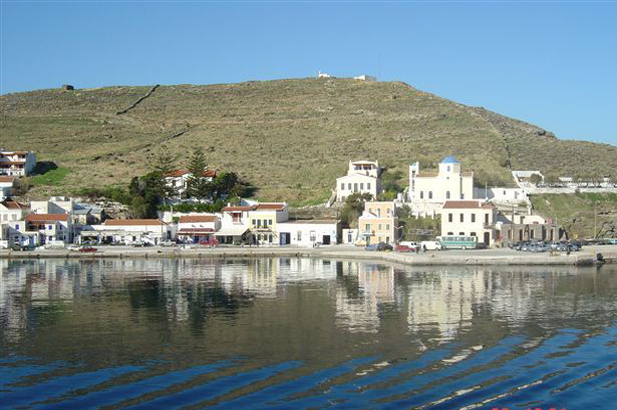 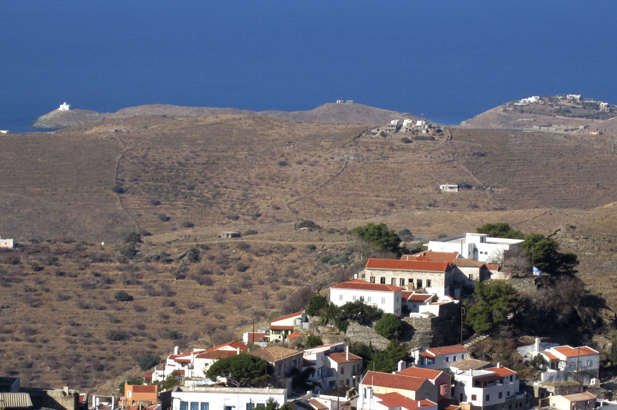 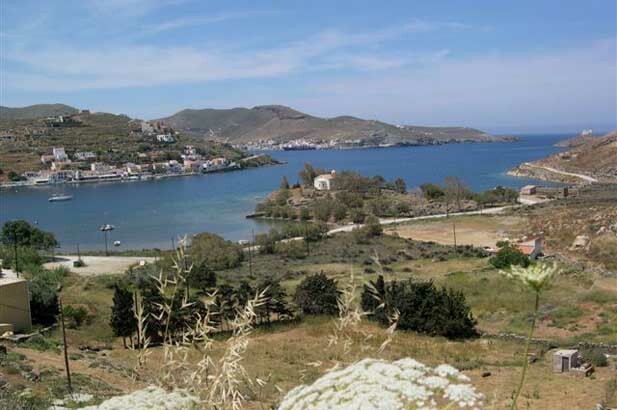 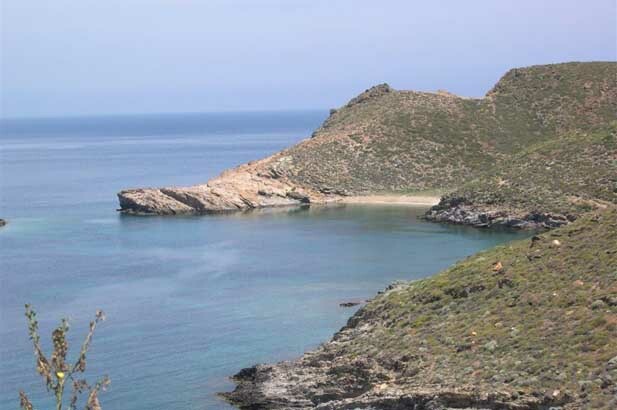 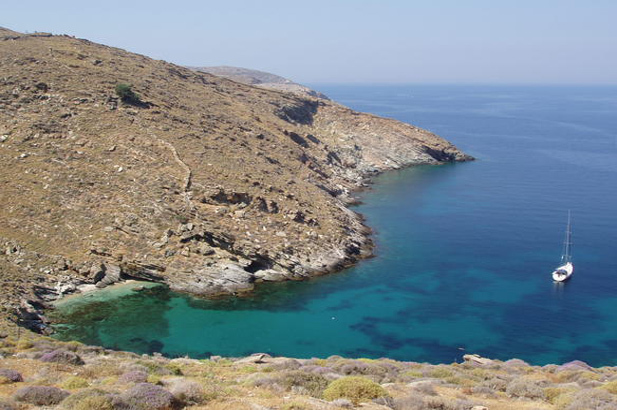 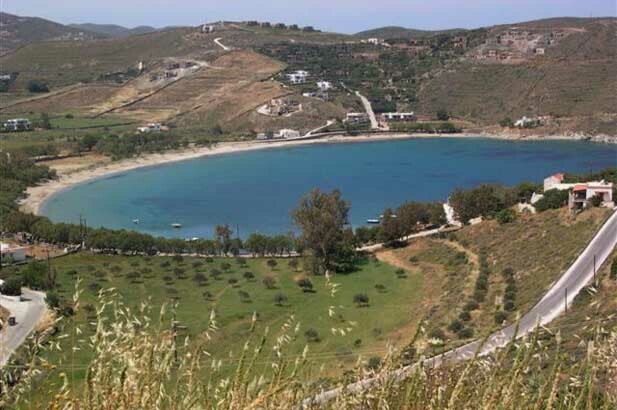 Perfect for exploring the island with a 4x4, to ancient Kartheia (which has an astounding beach below) and walking the old stone-paved roads which criss-cross the island connecting the farm settlements, shooting (cameras only please! 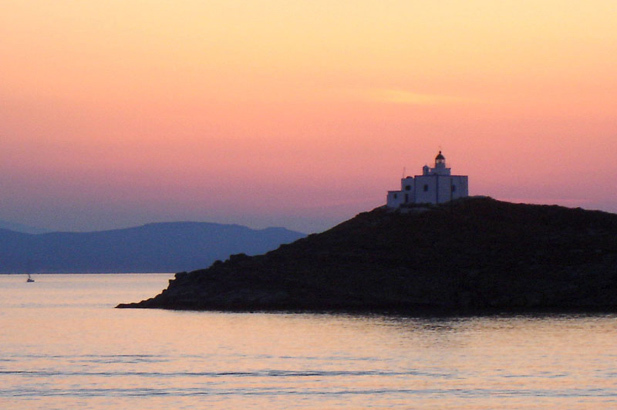 ), flights of pheasants and partridges, enjoying still warm seas and serene starry nights.